So, I put a wrench on the holder and attempted to take it off the head. It just crumbled when I twisted the wrench. What a cheap POS! 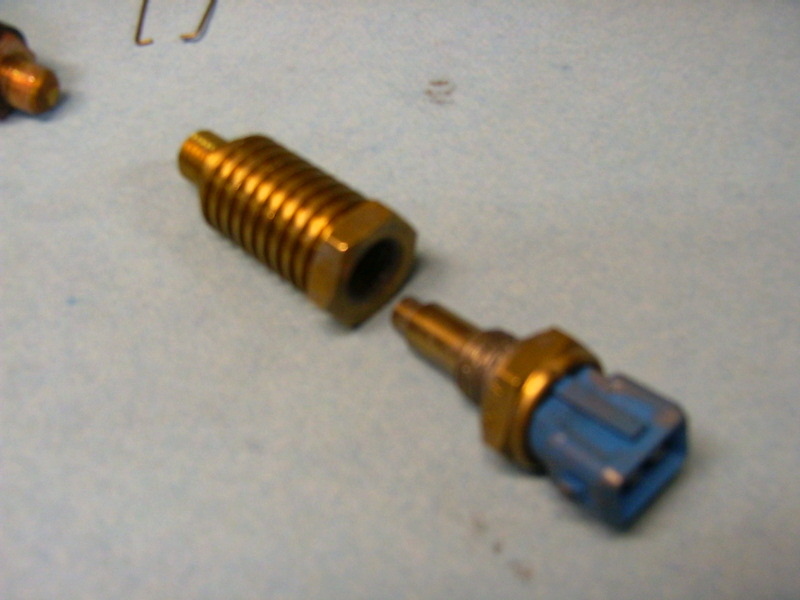 Fortunately, I had the solid-brass replacement in waiting. 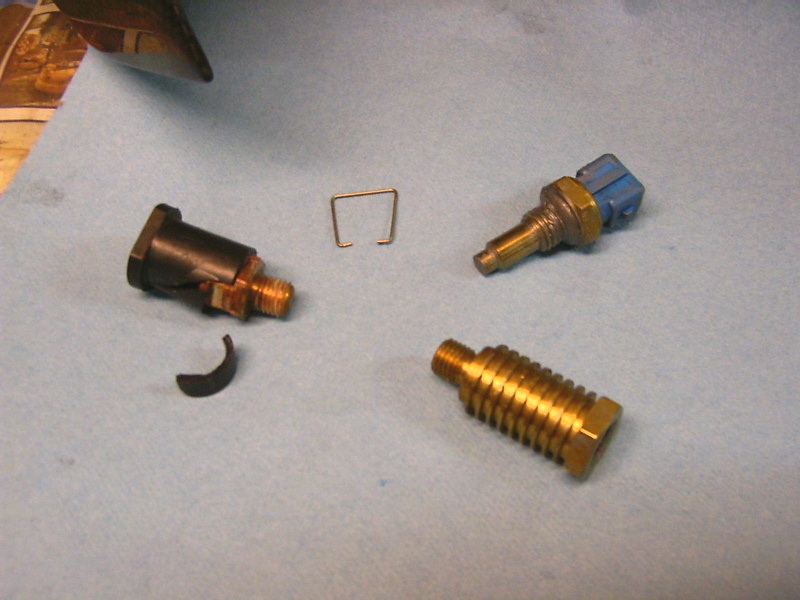 This photo shows the crumbled plastic holder, the sensor, and the replacement brass holder. The next challenge was getting the metal base out of the head. Its hex portion was actually recessed into the head casting. To get it out, I had to grind the tip and side of a 15-mm deep-well socket. It was really in there, glued on with some type of loctite. Then, I did a trial fitting after smearing the sensor with antisieze to leave witness marks as evidence that it had bottomed out in the holder. No surprise, it didn't bottom out, and there was no way to make it bottom out without a lot of milling work. Instead, I cheated, and filled the recess with antisieze, which should do a good job of transering heat between the holder and sensor. 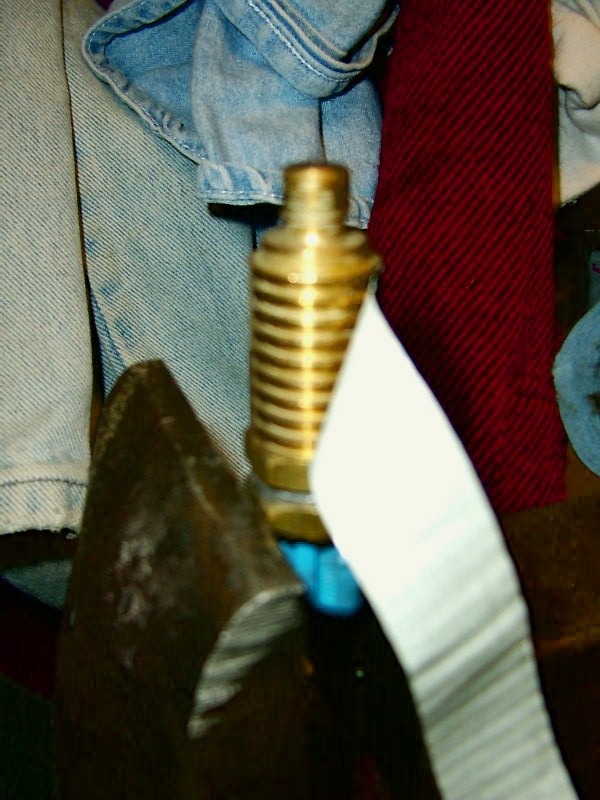 Then, I antisiezed the threads of the holder, and cinched it tight into the cylinder head. We'll see if it does anything positive other than getting rid of the cheap POS sensor holder . . .